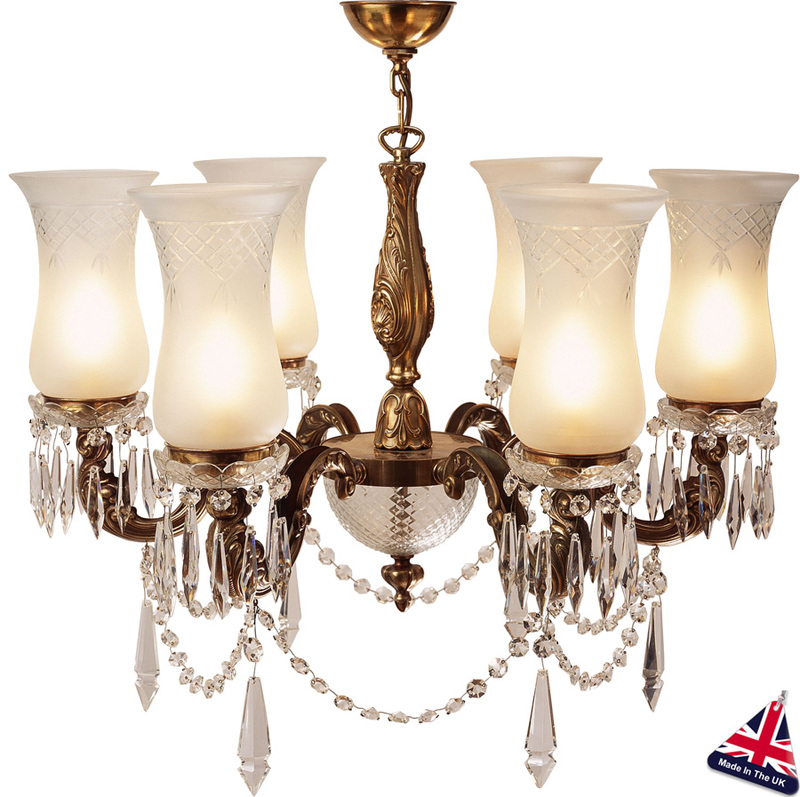 Spectacular handmade large six-light chandelier of the highest quality, with a central cut glass bowl. Finished in old gold with mouth blown brilliant cut shades and an abundance of cut glass drops to give opulent splendour. Min height 570mm – Max height 1020mm. Weight 19Kg.